Microsoft removed the Charms bar feature previously added in Windows 8 so you can no longer switch tasks by swiping to the top left corner (which was somewhat glitch-ridden 8 anyway). Windows 10 adds a task view icon to cycle through open programs from your desktop with ease (you can still use the keyboard command Alt+Tab for cycling apps, too). Take this a step further and now you can have multiple desktops open on one machine. 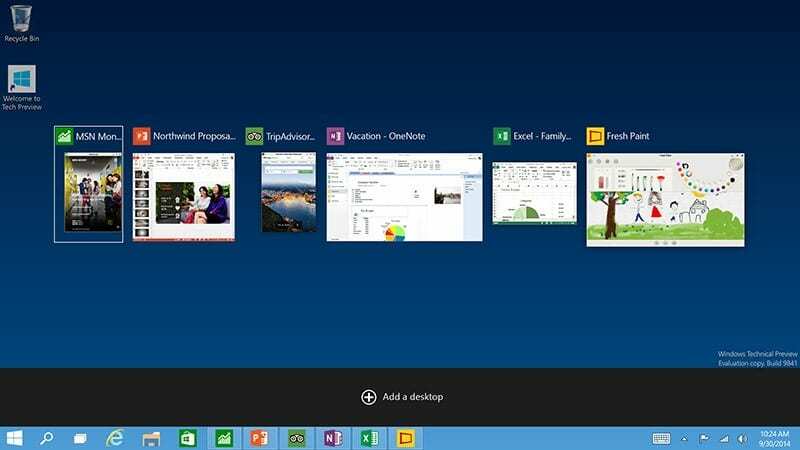 The Virtual Desktop feature is a great way to keep your programs organized. For example, you can create 2 desktops -- one for work and one for personal computing. You can also move apps across virtual desktops if needed. There was a lot of criticism when Microsoft removed the start menu in Windows 8, so they’re bringing it back. In keeping with the tile design from the previous version, Windows 10 now has live App tiles inside the Start Menu. This will be replacing Windows 8’s Charms feature (the search box that appears when you move your cursor into the top right of the monitor) and should appeal to both Windows 7 and Windows 8 users alike. 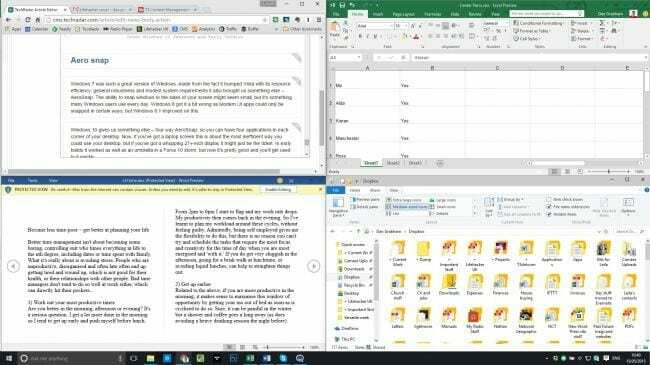 Snap Assist is the function in Windows that allows you to make any document or web page split-screen in order to multi-task or write while referencing a source much more efficiently. You can now snap in more segments rather than just the split screen function. In order to take full advantage of the new operating system, Microsoft released a new web browser called Microsoft Edge in conjunction with the new OS. Microsoft insists that Edge is not a replacement to Internet Explorer, but it certainly seems that it will be in the future. 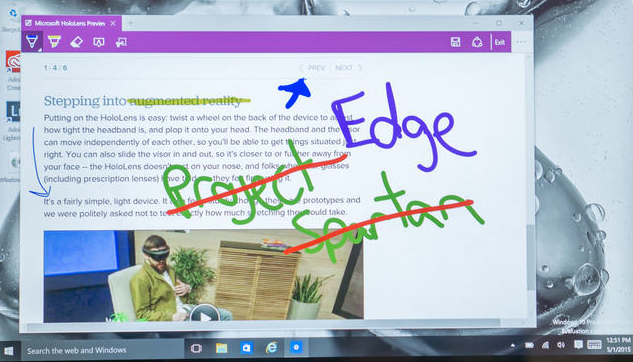 The browser is fully compatible with Cortana and also has cutting-edge features like annotating abilities with hand-drawn notes, which can be saved and shared with colleagues. Figure 5: The new Edge browser allows you to annotate webpages using touch capabilities. Continuum is a new feature for users of two-in-one devices that seamlessly switches Windows 10 between desktop and mobile mode depending on the presence of a keyboard. This is one of the keys to the success of Windows’ newest update, because it is the ultimate goal of Microsoft that Windows 10 will become the de facto operating system across all platforms. The new apps for Windows 10, referred to by Microsoft as “Universal Apps,” are built to seamlessly work across mobile, desktop, and the Xbox. The apps are able to float in their own windows instead of being confined to full screen or minimized, can be moved across the aforementioned virtual desktops, and also take full advantage of the improved Snap Assist function for multitasking capabilities. Possibly the most surprising feature of Windows 10 is the affordable (and for a certain time non-existent) price of the operating system. It is free (for one year) for current users of Windows 7 and Windows 8.1, so if you are a Windows 8 user, now is the time to upgrade to 8.1. After the first year, Windows 10 will cost $119 for home use and $199 for professional use. Windows 10 is both an anticipated upgrade of the missteps from Windows 8 as well as a great way for Windows 7 users to get acclimated to the modern operating system that is both desktop and mobile friendly. If you have questions about Windows 10 or would like to discuss getting your business switched over to the new operating system, contact IT Solutions today. 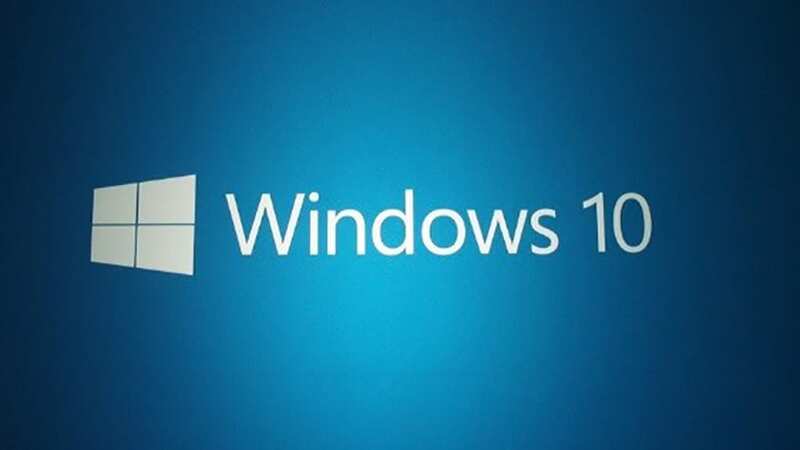 For more information about Windows 10 and its various features, contact your VCIO or call us at 1.866.PickITS. 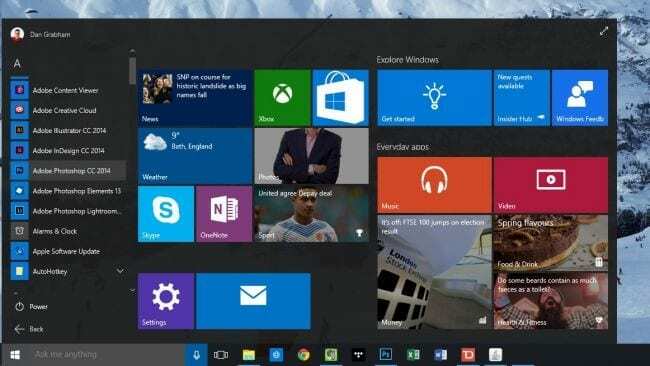 It is official, Microsoft has released the latest operating system upgrade, Windows 10. Cortana is Microsoft’s voice activated assistant. Like Apple’s Siri, Cortana can perform complex searches on the web, respond to commands such as opening an application, find and edit documents and she’ll even tell you a joke. 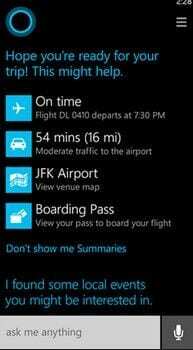 Cortana is designed to work across all devices (phones, tablets, and PCs) and can be used across operating systems. You can speak to her with the microphone or simply type your request into the search box on the taskbar. Cortana tracks your activity and requests in her notebook and will give you a daily summary when you open up the dialogue box (such as flight information for an upcoming trip, a reminder to pay a bill or the delivery status of a package from Amazon). So the more you use this feature the more you’ll get out of it.